French Kiss is an handwritten typeface created & published by Robert Arnow. 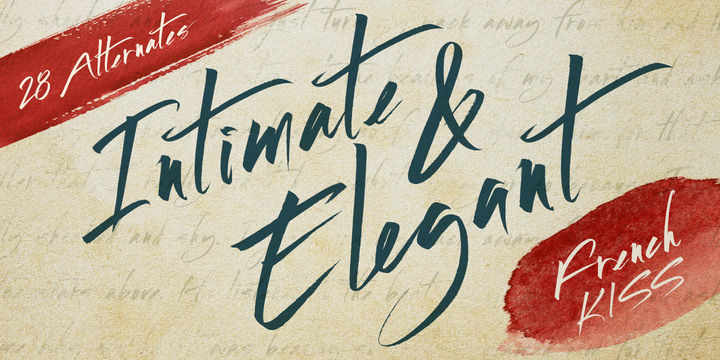 It is an elegant, expressive font that can give your writings an intimate and personal quality! A font description published on Monday, March 4th, 2013 in Fonts, Robert Arnow by Alexandra that has 7,247 views.